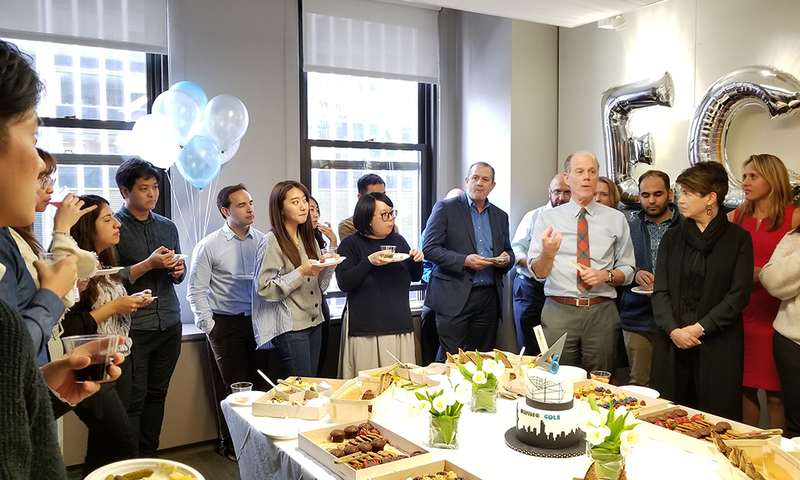 On April 19th, the New York office commemorated its 6th year of operation with a celebration for the staff and the 3 Principals responsible for creating it in 2012. Andy Jarvis, Mary Frazier, and Jim Wolters hosted festivities for the NY staff and visiting Philadelphia leadership in the office. 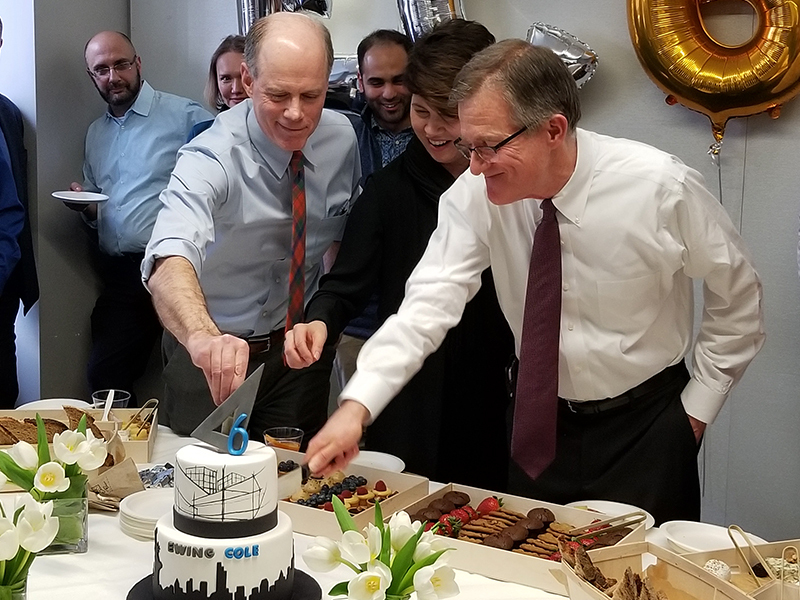 We enjoyed a delicious and gorgeous cake with architectural elements by Arina, and a champagne toast in recognition for the 4 individuals that have been with the office for 5 years. 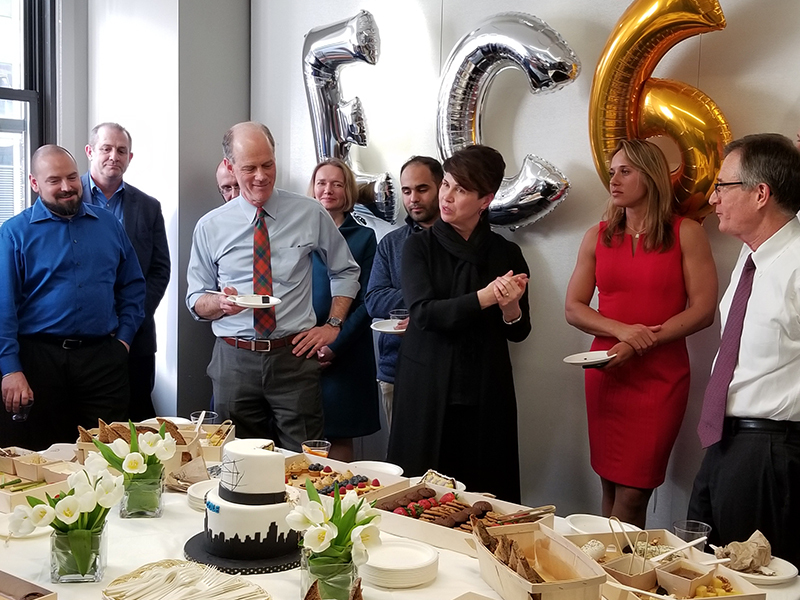 Andy Jarvis also announced that after his 6 year tenure, he would be stepping down from his role as Managing Principal as is customary at EC and that Mary Frazier would be assuming the Managing Principal role effective immediately. Mary, Jim, and Andy will continue with their commitment to the New York office as it continues to grow and thrive.